As part of their latest cross promotion campaign, national daily newspaper has proclaimed March 6th as “Metro Day” at H&M stores in Halifax, Montreal, Toronto, Edmonton, Calgary and Vancouver. 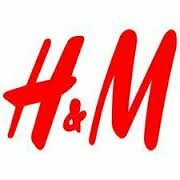 The promotion builds upon the success of last September’s and gives Metro readers an exclusive 25-per-cent discount on one item of their choice at any H&M store across Canada. The deal is simple: shoppers only need to share that they’ve read Metro by showing their copy of the paper or the Metro app on their phone. Full page ads on March 4-5-6 in Metro copies in the six markets. Metro promoters around flagship stores in Vancouver, Toronto and Montreal on March 6. Homepage takeover on metronews.ca on March 6.